Check out the original article on the Twiniversity webpage. “Can we be in the same class this year?” said my twins during the car ride on the way home from summer camp. 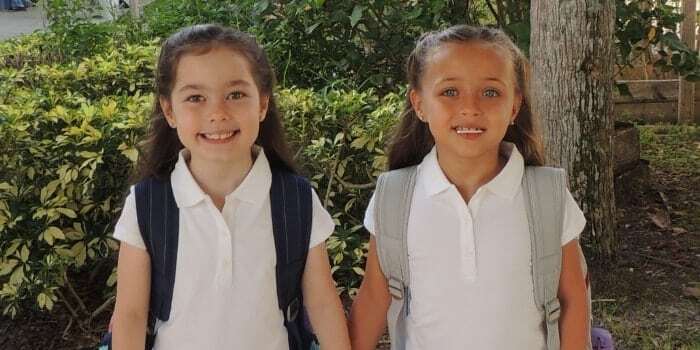 They have been in separate classrooms since they were three years old, but every summer they are in the same group at summer camp. Therefore, the transition from being together to being apart is a subject that we must revisit every year. When they were young, they did not really understand our reasons as parents for separating them, but they did not fight it. Entering Kindergarten was a different story. It was like they had caught on and realized that they could be together because they saw other twins in the same classes. Nonetheless, we needed to find a way to help them understand that being separated is okay. As five-year-olds entering Kindergarten, we read a great book entitled, Twindergarten, and this really helped things click for them. The story showed them that some twins are in different classrooms and that there would be opportunities for them to see each other. 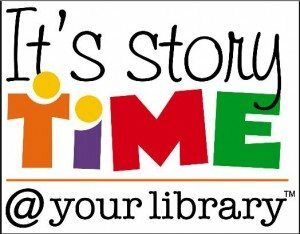 Specifically, we talked about lunch in the cafeteria and playground time – all the Kindergarteners would be there together. This made them smile and get excited about the idea of passing each other in the lunch line or playing together on the playground. We also talked about the possibilities of having old friends in class and meeting new ones. The twins had attended Pre-K at their elementary school, so they already knew some kids who would be entering Kindergarten with them. 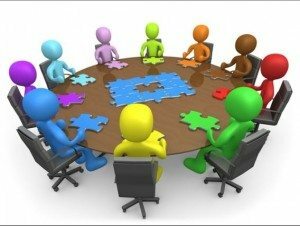 There would be, however, nine Kindergarten classes at our elementary school as opposed to two Pre-K classes, so there would be more new students around than old ones. We talked about making new friends, and how they should introduce themselves to people whom they did not know. We told them that they were lucky that they already knew some people, but not everyone would be that lucky. Because of their luck, we said if they are playing with old friends, they should include new friends too. Some kids are too shy to ask to join in, so I explained that if they are aware of that, then no one will get left out. They liked the idea of being little ambassadors and helping new students feel welcome in their school. I took the opportunity to make this a teachable moment about being a leader instead of focusing on their fears of being apart. I do not want our twins to always depend on each other when it comes to making friends. Further, it is important that our girls know how to stand on their own two feet. We definitely have a dominant twin situation in our family, and the separation has actually helped our Baby B become more social, communicative, and independent. In the past few weeks, as First Grade approached, I once again had to deal with the separation discussion. “But we want to be together, Mom”, and “we promise to be good, Mom” were phrases they used to try to persuade me. I explained that it is not about being good and that we are not trying to punish them or upset them. I reminded them that they would be seeing old friends, meeting new friends, be in a new classroom with a new teacher. Everything we talked about focused on how starting a new school year is exciting, and all the fun that awaits a new school year. Getting excited about the new school year for our family includes activities that are meant to help us focus on the positives. I had a mommy and twins’ day out that included haircuts, a trip to Build-a-Bear, and lunch at Chick-Fil-A. Throughout the day, I continued to point out all the great things about going to First Grade. The next day, we attended “Drop-in Day”, which is our “meet the teacher”. This is when we learned the name and classroom number for each child. The girls held our hands as we walked as a family to meet their new teachers and see if there were any familiar faces already in the room. Instead of splitting up, one parent with each child, we went to each classroom as a family. We watched as each of our daughters found her seat and proudly showed her classroom to her sister. We made sure to take each twins’ photo with her teacher, and made a big deal out of it being “her teacher.” Twins share a lot, so it is good to have moments of individuality, and this was one of those moments. On the first day of school, I was more nervous than the twins. They woke up, got their uniforms on, brushed their teeth, and ate breakfast. It felt like just another day, but my heart was racing thinking about how things would go once we were at school. A few quick photos before we left the house, and then we were off to get arrive before the bell. On the first day, parents are allowed to walk their children to class. This year, the girls are lucky because their classrooms are across the hall from one another. As we said our goodbyes, our girls were not looking for hugs from us. Instead, they reached out for each other! With a hug and a kiss, I watched them say goodbye to each other and enter their separate classroom doors. Instead of crying, I just smiled. It was at that moment that I knew all the preparation had paid off. Our girls were okay. They were not crying for us, and they were not crying for each other. Instead, they were excited to start their new adventure as First Graders! Talk about it early and often – give your twins time to let it all sink in because springing it on them at the last minute would probably be more jolting than trying to prepare them for it. 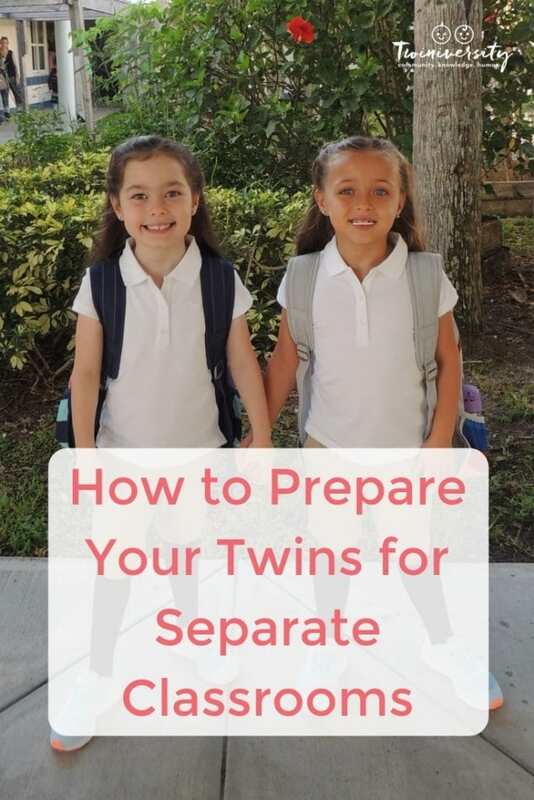 Look for books on the topic – I highly recommend Twindergarten, even if your twins had been separated in preschool like my twins. Reading this book with them is a great way to reinforce that being in different classrooms is not strange. 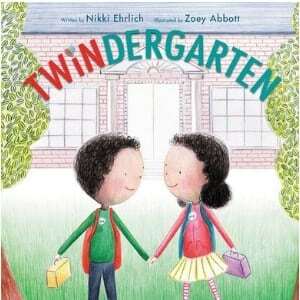 – Be kind – Talk about how other children may not have a twin, so they will be going to class alone too. Being kind to others will help them to make new friends. – Be inclusive of others – Because our twins knew other students going into Kindergarten, we made sure to talk about being inclusive of others, so that no one feels left out. Avoid focusing on their fears, and try to turn fears into positives – for example, they will make friends in their classes who they can introduce to their twin and then look how many more friends you have! Keep your fears to yourself. When we chose to separate our twins at age 3, it was very emotional for me, but I had to stay strong. My husband would drop off the twin who was most clingy to me and I dropped off the twin who was most clingy to him. Divide and conquer! Do not second guess yourself. If you need to, write down your reasons for separating your twins and remind yourself about your goals. Our two little negotiators continue to try to get us to agree to their terms, but we are the parents (and the ones with law degrees), so we cannot give in to their demands even if they look cute and sound smart when they try!